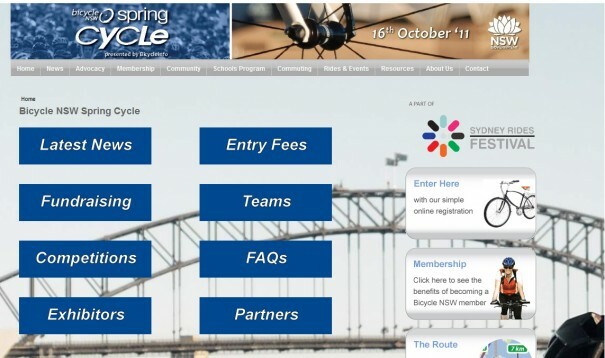 The Bicycle NSW Spring Cycle is Sydney’s largest celebration of bike riding. This year’s event held on Sunday 16 October is part of the new Sydney Rides Festival from 8-16 October. For the hard-core cyclists there is the traditional 55km Classic Ride but this year there is also a shorter 16km City Ride, a more leisurely amble which will feature many of the highlights of the longer ride (including riding over the Sydney Harbour Bridge). To make the event a really fun day out, Bicycle NSW are running several competitions including a best-dressed competition. You could opt for a super-stylish Parisien look, deck yourself out in head-to-toe tweed, dress as your favourite super hero or go as way out as you can. The winner receives a $250 voucher to spend with us! So what are you waiting for?